The tumultuous fracturing of Call of Duty creators Infinity Ward in 2010 represented a significant shift in the first person shooter landscape. 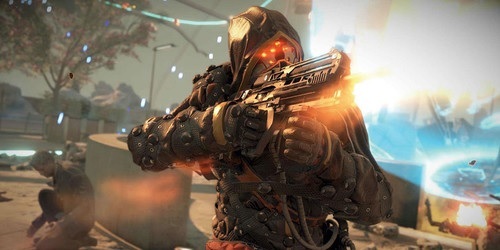 Free from Activision, IW founders Jason West and Vincent Zampella and a team of former employees founded Respawn Entertainment and joined forces with EA to create a new franchise. What’s your favorite Easter Egg? This ranks pretty high up for me. April 1 is probably the worst day of the year for a frequent Internet browser. You can’t believe most of what you read and sometimes the hoaxes are actually kind of rad and make you wish they were real. Far Cry 3: Blood Dragon started out as an April Fools’ joke, but somehow I don’t think this trailer for Titanfall DLC which brings in Optimus Prime will become a real thing, which is a shame. Take a look at what the greatest Autobot would look like in Titanfall below. I’ll admit I thought this was real for a second before I watched it because it seems like such a natural fit. Would you guys want to transform and roll out in Titanfall? The break may have been a week longer than we intended, but a trio of GamerSushi editors took to the mic this week to bring you a new installment of your favorite podcast (or one of you favorites at any rate). Because Eddy has a backlog of trolling he’s in fine form this episode, but despite that we still manage to yak about Titanfall and out experiences with the live version, Eddy’s dislike of InFamous: Second Son, some random bits of gaming news and the big deal of this week, Facebook buying Oculus. I’m sure you know how it goes, but I’m going to remind you anyways: listen, rate and treat yo’self. See you next time! This video needs very little introduction, other than saying that someone who does a very good Obama impersonation plays a lot of Titanfall and pretends he’s the President of the United States. The results are pretty glorious, mostly because everyone else is playing along and enjoying the shtick. We’re back from a one-week break with another GamerSushi Show. Nick skips out on this cast, but I’d like to think that the rest of us more than make of for the lack of his bearded tones. For topics, we talk the Titanfall Beta, the Xbox One’s recent price cut in the UK and the closure of Irrational Games. We then cap it off with what we’re playing. Alright, listen, rate and we’ll see you next time! Want to watch fifteen minutes of glorious Titanfall footage in 4K? Well, you’re in luck as YouTuber JackFrags just posted some Titanfall PC Beta gameplay. Let that soak into your peepers. 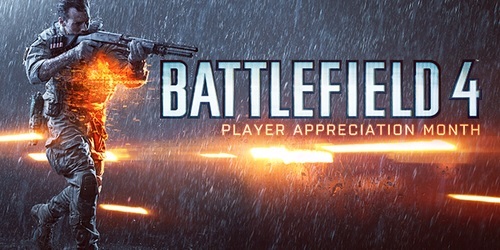 Can DICE/EA Make Up For Months of Problems With Battlefield 4’s “Player Appreciation Month”? Look guys, I’m sorry I keep writing about Battlefield 4, I really am. 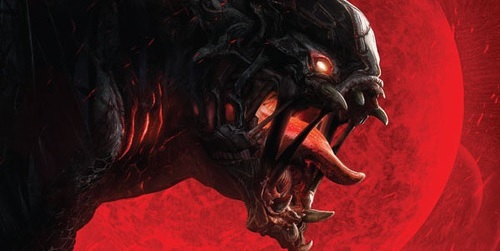 This game had a ton of promise leading up to launch and then it promptly fell flat on its face and has been struggling to right itself even since. A week or so ago I wrote about DICE and EA’s handling of the whole situation (which you can read here if you’re so inclined) and in summation I felt that all that was necessary was admitting that they did wrong by the consumers and apologize. Instead, we’re getting the “Player Appreciation Month” for Battlefield 4, where EA and DICE neatly side-step responsibility for the game’s problems by offering up free Battlepacks, double XP events and shortcut kits. Take a read through and see what they’re offering. Even if you haven’t played Battlefield 4, I’m sure you’re at least somewhat aware of the game’s issues. Tell me, is the Player Appreciation Month enough to make up for the bungled launch? 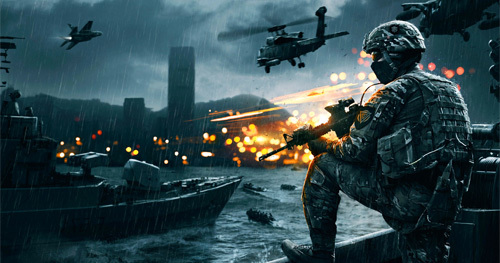 Is Battlefield 4's "Player Appreciation Month" an Appropriate Amount of Compensation? I didn't really expect anything so it's better than nothing. No, giving us quick unlocks we could earn ourselves in-game doesn't cut it. Posted on January 28, 2014 January 29, 2014 Author MitchCategories FPS, GamerSushi News, PC, Pixel Count, Playstation 3, Playstation 4, Shooter, XBox 360, Xbox OneTags battlefield 4, battlefield 4 bugs, battlefield 4 glitches, battlefield 4 player appreciation month, dice, ea5 Comments on Can DICE/EA Make Up For Months of Problems With Battlefield 4’s “Player Appreciation Month”? I was enjoying Killzone Shadow Fall in spurts. Sometimes, I would tolerate its mundane tasks and other times, I would actually lose myself in the gameplay for a bit. I wasn’t having a bad time, per se, but I wasn’t exactly overjoyed every time I booted the game up. But with only 9 missions, I figured I could manage my way through. The graphics were really quite nice, actually, with blue as the new brown, a refreshing change from last-gen. While the notion of destructible environments and the real-time evolution of a map has been around since 2008’s Bad Company, Battlefield 4 takes this concept and makes it grandiose in its execution, giving us the type of destruction that was taken out of Battlefield 3 and adding in “Levolution”, events that change the way a given map plays and feels. As much as I think gamers and the gaming press in general are prone to histrionics, the ongoing saga of Battlefield 4 is cause for legitimate concern. While I have faith that DICE will eventually get the game working in almost tip-top shape, the whole process of Battlefield 4, from the demo Beta in early October to the mangled launch and the current state of the game has been quite the snafu. The rumor out there is that EA rushed DICE to have Battlefield 4 drop on PC and previous generation consoles (the Xbox 360 and the PS3) on October 29, two weeks before the release of Call of Duty: Ghosts, sacrificing time needed to finish the actual game for a few extra sales. While the actual validity of this fact is up for debate, EA/DICE have a long history of taking potshots at Call of Duty and doing whatever they can to one-up Activision’s FPS juggernaut. As the old saying goes, “bigger is better” although in the case of multiplayer shooter games this isn’t always true. 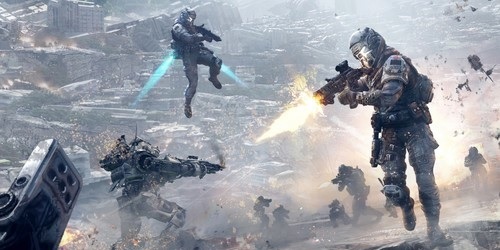 While Titanfall may go big in terms of the giant mechs it features, the player count for Respawn and EA’s upcoming sci-fi shooter is a little on the smaller side. 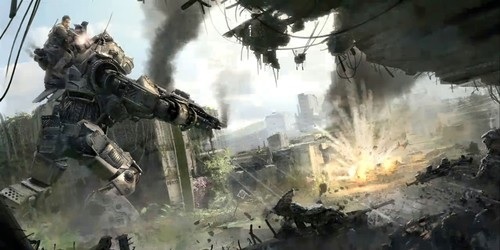 While we’ve know for a while that Titanfall would contain a smaller number of players in matches (the E3 demo had 7 on 7), Respawn founder Vince Zampella confirmed on Twitter that Titanfall matches would max out at 12 humans, so 6 versus 6. The backlash to this news has been kind of over the top, as is the way with the Internet, but is 6v6 really that bad? Many of the best competitive shooters out there, from Counter-Strike to Halo, have always had smaller matches because with more people things just get a little too hectic. Battlefield is one of the only games to pull this off because that’s their gimmick, but sometimes a full 64 player match can get kinda of crazy. Respawn additionally confirmed that the Titans, while capable of being directly controlled by a player, can also be automated to defend a specific area or follow a person around, so the matches are essentially 12 v 12 with some AI enemies padding things out. I played Titanfall at PAX Prime 2013 and I honestly didn’t notice that it was a smaller game. With all of the AI enemies constantly dropping in, the action felt fast and frenetic and captured the feeling of being a small part of a larger battle. I’ll wait to actually play the game proper before making my judgement, but given how Titanfall felt at PAX, I imagine 6 v 6 will be just fine. What do you guys think about this? Did the Internet overreact? Are more players essential, or do you prefer things to be a bit more…intimate? As much as I loved this past generation, I think one of the worst things it’s left behind is the idea of progressive unlocks in multiplayer. I hate to lay the blame at just any one game’s feet, but let’s face it, everybody pretty much took this from Call of Duty 4: Modern Warfare. Now every franchise from Halo to Assassin’s Creed is borrowing the idea, and multiplayer suffers for it.